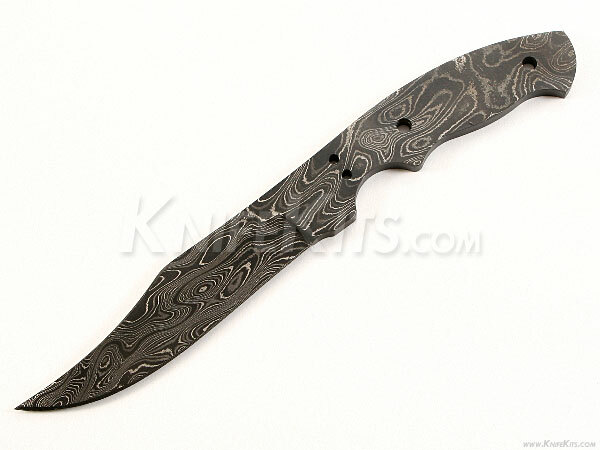 This classic trailing point full tang design is called the "Trail Hand". 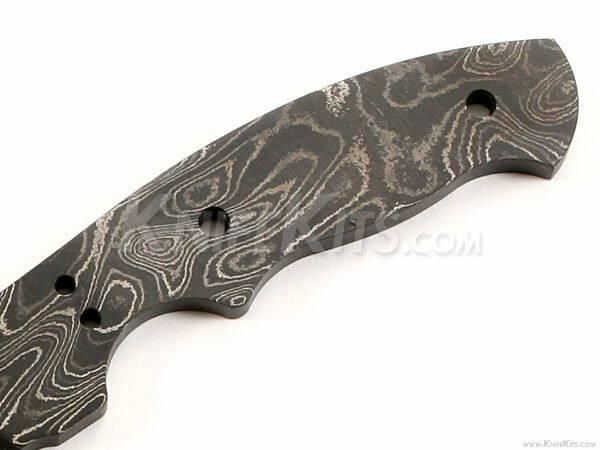 It is a USA Made carbon steel damascus fixed blade that is hollow-ground and ready to build. This model will make a fantastic hunting/utility knife, or will serve very well as a collectible gift project. 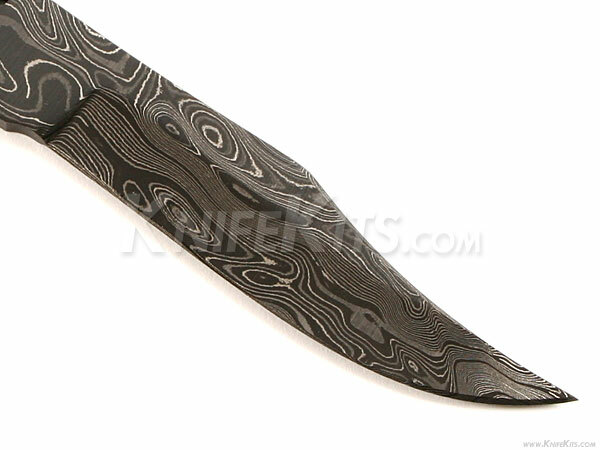 With a blade length of 3-3/4" and an overall length of 8 inches, this design is a perfect carry size. Ground on both sides, the Trail Hand's blade is 15/16" wide with a .170" thickness. 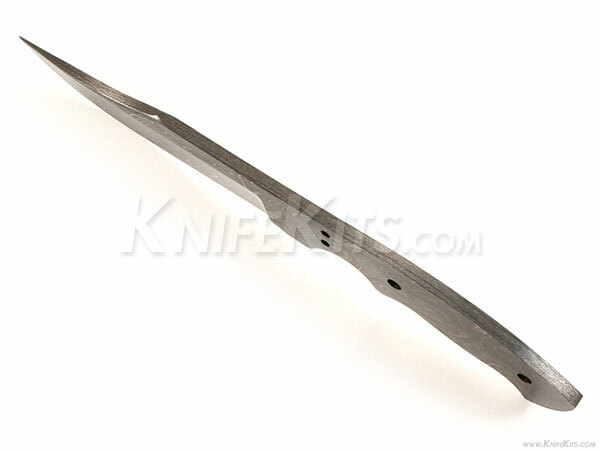 This design features (2) .093" and (2) .156" through holes for handle construction. The tang holes can be modified with ease to work with larger pinstock, or with threaded fasteners. Please see our drills and taps sections for more options.